Finally Xunta de Galicia and Santiago City Council have signed an agreement for the total renewal of the urban stretches of the Jacobean Route as it passes through the city, after the study of actions undertaken by the exalcalde and architect Xerardo Estévez, made public last September. 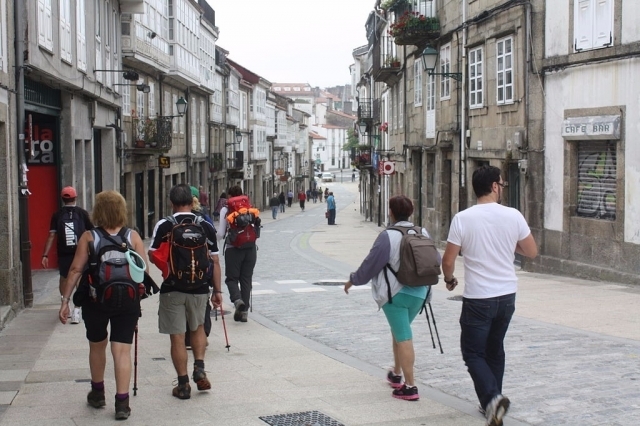 It is a complete renovation of these sections, with the aim of humanizing the entries of the Camino de Santiago in the city through the French, English and Portuguese itineraries in preparation for the celebration of the upcoming Holy Year. The agreement has been announced by the President of the Xunta de Galicia, Alberto Núñez-Feijoo, with investment up to 4.2 million euros and works to be completed before 2021. Estévez's study pointed to certain deficiencies in the access to Santiago de Compostela that "disappointed the pilgrims" who ended their trip in the city of Compostela. Mainly these are concentrated in three points of Santiago, according to the study, in the polygon of Tambre, in Puente de San Lázaro and at the intersection between Avenida de Lugo and Os Concheiros; The works will focus on improving elements such as pedestrian crossings and adapting access for people with disabilities.